HAMILTON COUNTY, Ind. 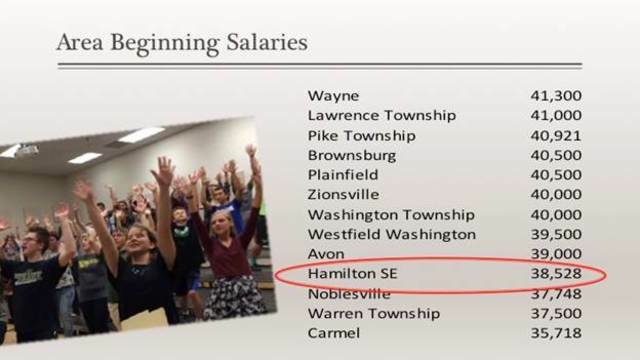 -- More than 1,200 teachers in the Hamilton Southeastern school district will get a raise beginning in January 2017. The HSE school board approved the increase at its board meeting Wednesday night. A spokesperson for the district said they ratified a one-year contract, which includes an average raise of 3.2%, although the raises will range from 3% to 3.75%. 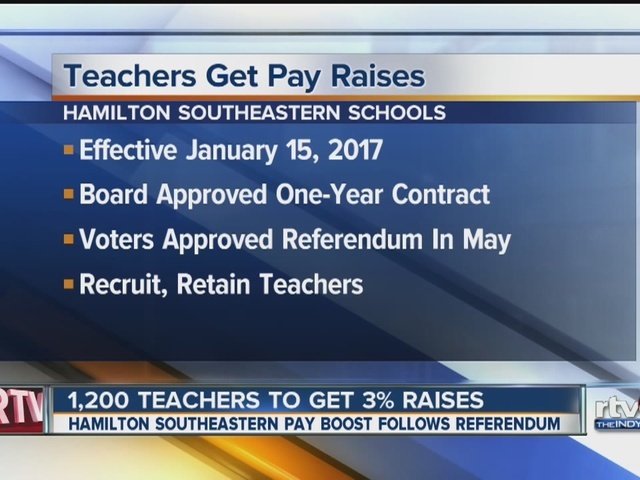 “We were pleased to announce the settlement after a very collaborative negotiation season with our teachers union,” said Bev Redmond, spokesperson for Hamilton Southeastern Schools. The agreement did not address raises for administrators. On May 3, voters in Hamilton County approved the passage of a seven year operating referendum. Click here if the document below won't load. A homeowner with a $250,000 home will see a $166.07 annual increase in their property taxes. Beginning salaries for teachers in HSE are $38,528, which lags behind nearby districts, according to information on the district’s website. “(The teacher raises) further fulfills our commitment made to our community, since the passage of the May 3 referendum, to attract and retain quality teachers,” said Redmond.